A man takes aim at a target while shooting at a local range. An amended version of AB291 was approved by the Assembly Judiciary Committee, Friday, on a largely party-line vote with only one Democrat, Assemblyman Skip Daly of Sparks, opposing the bill. The new changes extend the power to pass gun control legislation to counties only; the previous version gave that ability to cities as well. The bill must now pass the full Assembly and Senate before heading to the governor. Lawmakers in Nevada held a public hearing on a measure that could possibly make sweeping changes to gun laws across the state. The hearing on AB291 comes at the same time that gun rights advocates in some rural communities are going as far as to declare themselves as 2nd Amendment sanctuaries. It’s a relatively quiet afternoon at Reno Guns and Range. Well, as quiet as it can be, I guess. Only a handful of people are standing in their individual lanes, shooting at targets as shells fly from their chambers and hit the floor with every shot. If you’re not used to the sound, it can be a bit unnerving at first. 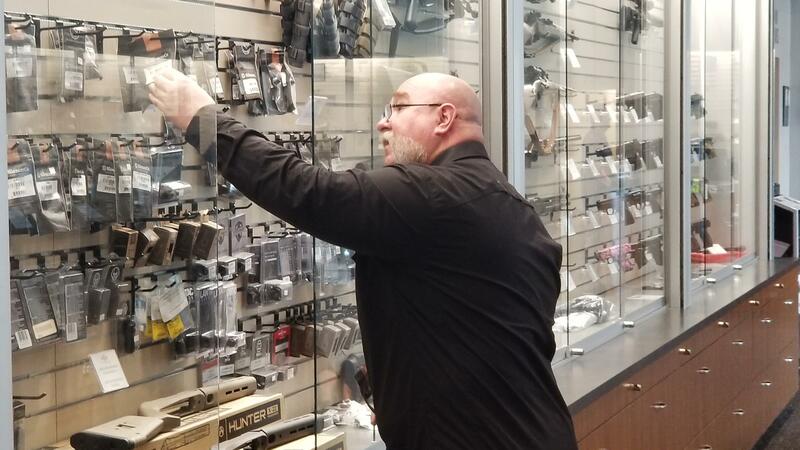 Reno Guns and Range Manager Jay Hawkins inspects a product hanging in a display case. For the store’s training and compliance manager Jay Hawkins, the gunfire is just part of another day at work. He says new regulations are not the answer. “We're just making new laws on top of ones that are not being enacted, or, in the case of the most recent background check law, it can't be enforced absent a registration of every firearm that's in the country,” Hawkins says. But not all gun owners agree. 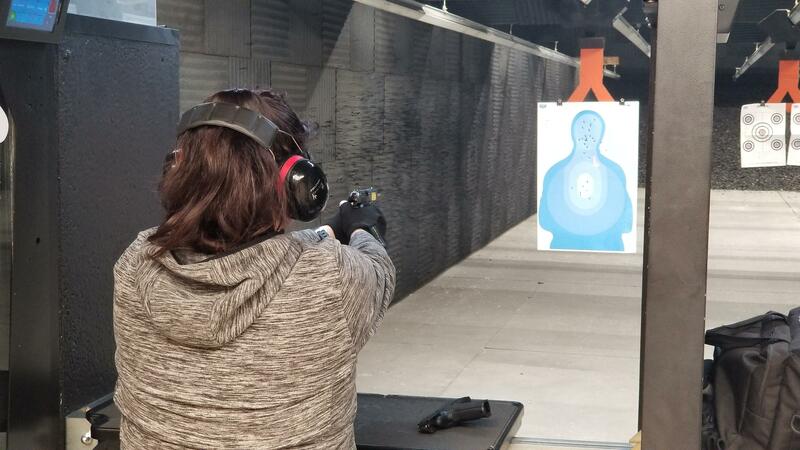 Wearing safety glasses and a sturdy pair of earmuffs, Tammy Nechita is practicing her target shooting. She says there’s a need in this country for more oversight. “We've been following the Christchurch event and we thought that they reacted very quickly with their regulations, and it would be nice to see that happen here, too,” she says. Reno-resident Tammy Nechita practices with the handgun she owns. On the other side of the range, 86-year-old Maggie Lightner is practicing her shooting. “I usually shoot three guns,” Lightner says. Her baseball cap has NRA emblazoned in big gold letters above the bill. As an example of that overreach, Lightner points to laws like the expanded background check measure approved earlier this year. The law closes a loophole that excluded private sales and transfers from federal requirements. Many gun owners argue the measure is either unenforceable as written, or would make criminals out of law-abiding citizens who may unknowingly violate some part of the statute. It isn’t set to go into effect until next year, but the law’s already drawing the ire of some who believe it infringes upon their right to own and bear arms. An official explains a set of resolutions to the Lyon County Commission expressing their opposition to new gun control legislation. At last month's Lyon County Commission meeting, it was standing-room only, with more than 150 residents spilling into the corridors as the board voted unanimously to pass a resolution voicing opposition to the law. 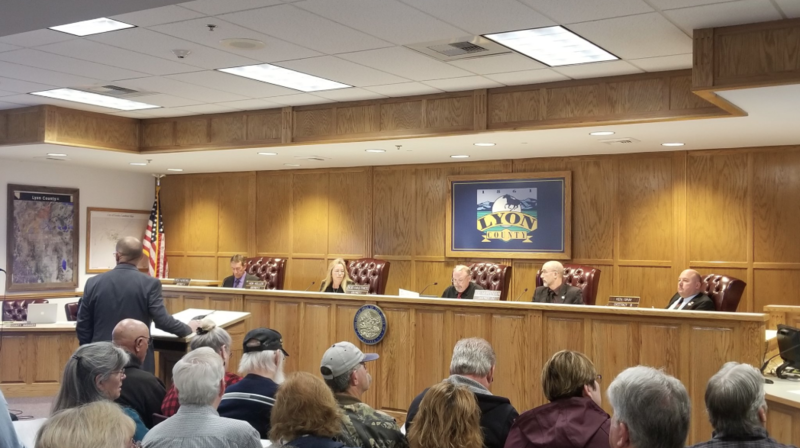 That vote made Lyon County one of the growing number of jurisdictions in rural Nevada to pass an opposition measure, some going as far as to declare themselves a 2nd Amendment sanctuary--a nebulous term that essentially means the local governments won’t expend resources to enforce certain gun control laws. For Commission Chair Bob Hastings, requiring background checks on all private sales is an example of a government more concerned with serving metro areas, like Clark County, than protecting the rights of individuals in rural Nevada. Hastings says lawmakers need to know where his constituents stand. But the controversy over the background check statute has not stopped lawmakers from pushing forward with more gun-control legislation. As a matter of fact, legislators have introduced more than 20 bills dealing with firearms. A majority of them would seek to make technical changes to the state’s concealed carry law. Another would make it illegal to carry a gun into a government building. There’s even one that would make to a misdemeanor to negligently leave a gun where a minor could get a hold of it. Perhaps the most notable is Assembly Bill 291, a 16-page measure that could have sweeping ramifications across the state. 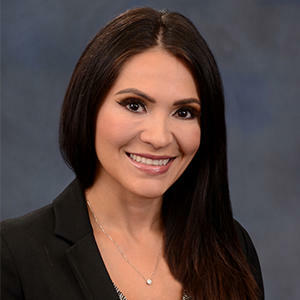 For Assemblywoman Sandra Jauregui, the bill’s sponsor and a Democrat from Las Vegas, strengthening gun control in Nevada is a personal mission. That’s because she was at the Route 91 Country Music Festival on October 1st, 2017, the night a gunman killed 58 people and injured hundreds more. In all, the measure does three things. It would mirror federal law and ban the sale, transfer or possession of bump stocks. It lowers the legal blood alcohol level a person in possession of a gun can have from .10 to .08. And finally, it would repeal what are called state preemption laws. In this case, they prohibit cities and counties from tightening their own gun control rules beyond state law. Gun rights groups like the National Rifle Association say repealing the preemptions would allow some jurisdictions to run amok, possibly passing measures that would ban certain types of ammunition or place limits on magazine capacity. But with Las Vegas now home to the largest mass shooting in modern American history, Nevada’s Democratic majority is primed to fulfill their campaign promises by passing gun control reform. Nevada's new Democratic Governor, Steve Sisolak, is calling on lawmakers to increase funding for public schools, protect the Affordable Care Act, and pass gun control measures as part of his first State of the State Address.